Nyctibius bracteatus J. Gould, 1846, Colombia. Monotypic. 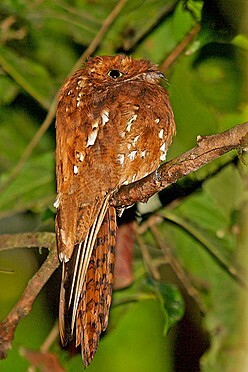 English: Colombian potoo; French: Ibijau roux; German: Tropfentagschlдfer; Spanish: Nictibio rufo. 8.3–9.8 in (21–25 cm); 1.6–2.0 oz (46–58 g). 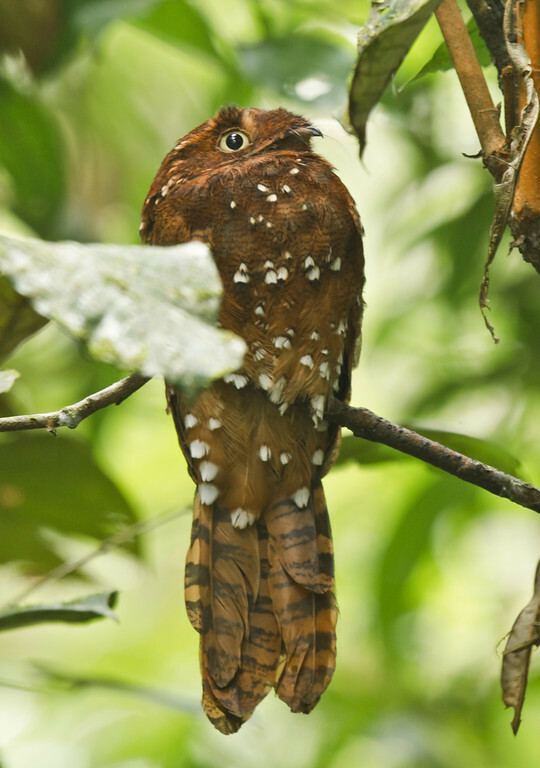 Coloration is atypical for a potoo. 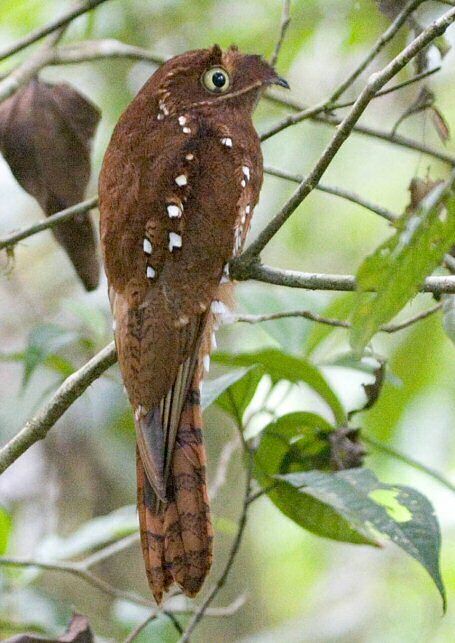 Overall the bird is deep orange-rufous with large white spots bordered in black; long bristles spring from the loral area. Sexes similar. South America from Colombia and Guyana south to eastern Peru and northern Brazil. 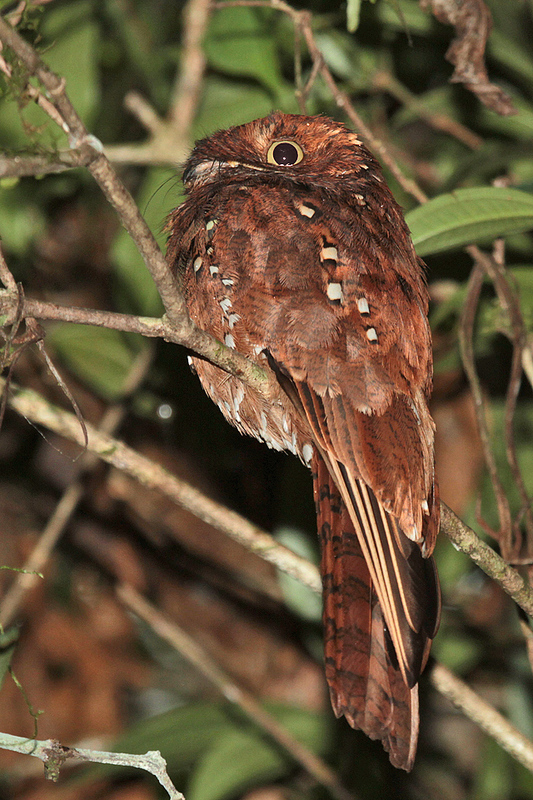 A little-known, nocturnal bird of the forest understory and middle story. Catches insects on sallying flights from a perch. 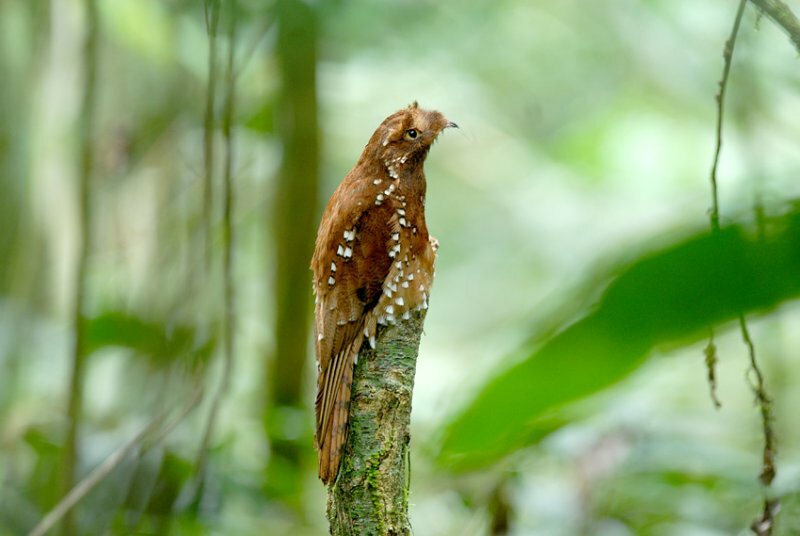 Only nest reported was on top of a broken palm stub inside forest, with a single blotched egg. Nestling was later tended by both parents and fledged before reaching adult size. Probably not threatened overall, but undoubtedly declining due to forest destruction.